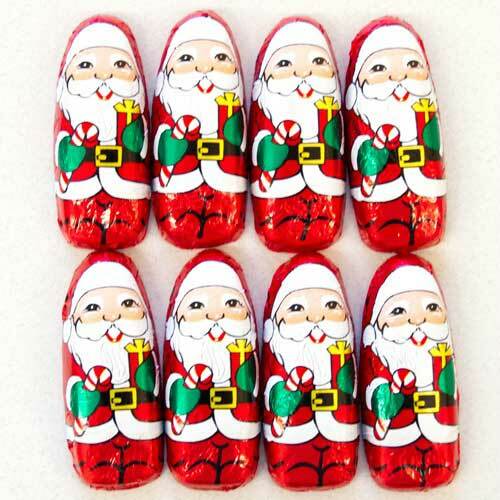 Mini Milk Chocolate Santas by Thompson Candy Co. 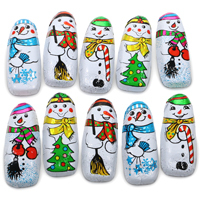 Colorful foil-wrapped milk chocolate treats decorated as festive Santas. Ingredients: Sugar, cocoa butter, milk, chocolate liquor, soy lecithin (an emulsifier), vanilla. 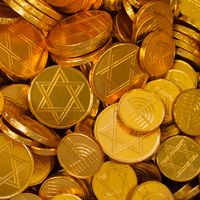 Approximately 52 chocolates (2" x 5/8") per pound.